With 100,000 square metres of available floor space, Suntec Singapore is an ideal venue for meetings, conventions & exhibitions. We can cater to events from 10 to 10,000 people. However large or small your needs, whatever size of venue you require, Suntec Singapore has the right space for you. The Singapore Art Museum (SAM) advocates and presents contemporary art practices of Singapore and the Southeast Asian region. Opened in January 1996 as a museum under the National Heritage Board of Singapore, SAM has amassed one of the world's largest public collections of modern and contemporary Southeast Asian artworks, with a growing component in international contemporary art. Flanked by world-class hotels like the Marina Mandarin, the Marina Square is centrally located in the beautiful bay area, where you can Shop, Play, Eat and Relax, all under one roof. At Marina Square Mall, you can sashay your way through fashion boutiques such as Bershka, Mango, Massimo Dutti, Zara and more. Pop in to the Japanese lifestyle store MUJI, or check out the latest offerings from the department store, John Little. With over 300 specialty shops, you will simply be spoilt for choice. Take time off shopping to enjoy a relaxing spa or manicure session while your kids have a great time at the entertainment zone where they can watch a movie, bowl, karaoke or have a game of pool. Then, meet up for a good meal at the many cafés and restaurants in the mall. From trendy togs to must-have gizmos, international cuisine or local fare, you'll find something to make your visit to Marina Square simply unforgettable. The Mall's operating hours are from 10am to 10pm daily At the heart of the bay, Marina Square also allows access to and from Suntec City, Citylink Mall, Millenia Walk. The mall is seamlessly connected to these places as well as Esplanade MRT Station, via our basement integrated walkway - the Marina Link! With all the additional shopping and dining options it offers, you’ll definitely enjoy shopping all the way to and from Marina Square and its malls ! At a height of 165m, Singapore Flyer is the world’s largest Giant Observation Wheel and also one of Asia’s biggest tourist attractions. Featuring fixed capsules the size of a bus, the spectacular icon is capable of holding up to 784 passengers. Each capsule has a 28-person capacity and each revolution takes approximately 30 minutes. It promises more than just a view, but a panorama that captures Marina Bay’s skyline with a glimpse of neighbouring Malaysia and Indonesia. Gardens by the Bay brings to life Singapore's' vision of creating a City in a Garden. The Gardens captures the essence of Singapore as the premier tropical Garden City with the perfect environment in which to live and work - making Singapore a leading global city of the 21st century. Spanning 101 hectares, and just a five-minute walk from the downtown Marina Bay area, this superpark is home to over a quarter of a million rare plants. The entire park comprises three gardens; Bay South, Bay East and Bay Central. From the waterfront promenade, one can enjoy an amazing view of the Marina Bay financial district skyline. You’ve visited gardens and parks before, but have you ever stepped into a superpark spanning over 100 hectares, featuring more than a quarter of a million rare plants in huge domed conservatories – and in the heart of the city? The Gardens by the Bay is spread over three waterfront gardens: Bay South and Bay East, with Bay Central connecting the two. Bay South — the largest waterfront garden — is where you’ll find the futuristic-looking Supertrees, vertical gardens measuring up to 16 storeys that add a surprising and surreal feel to the landscape. Take a walk on the suspended walkway between the supertrees or hitch a ride to the bar on top of the tallest supertree for a bird’s eye view of the entire gardens. The Supertrees are not just aesthetic features; they also collect rainwater, generate solar power and act as venting ducts for the park’s conservatory. The Conservatories, featuring the Cloud Forest and Flower Dome, are another key feature, offering reprieve from the tropical heat. The Flower Dome replicates the cool-dry climate of Mediterranean and semi-arid subtropical regions like South Africa and parts of Europe like Spain and Italy. The Cloud Forest replicates a cool-moist climate found in Tropical Montane regions between 1,000 to 3,500 metres above sea level, such as Mt Kinabalu in Sabah, Malaysia, and high elevation areas in South America. Bay East is a unique mix of pretty pavilions, lush lawns, tropical palm trees and natural blossoms of all kinds, perfect for an evening stroll or a picnic with family and friends. It also offers an amazing view of the Marina Bay financial district skyline along its two-kilometre waterfront promenade. Esplanade – Theatres on the Bay is one of the world's busiest arts centres, officially opened on 12 October 2002. This architectural icon with its distinctive twin shells, is sited within Singapore's civic district, just by Marina Bay at the mouth of the Singapore River. Esplanade aims to be a performing arts centre for everyone, and its programmes cater to its diverse audiences. Its programme line-up spans all genres to encompass music, dance, theatre and visual arts, with a special emphasis on Asian culture. Esplanade houses world-class performance spaces, supported by a comprehensive range of professional support facilities and services. Its two main venues are the 1,600-seat Concert Hall, with acoustics by Russell Johnson of ARTEC Consultants, and the 2,000-seat theatre, an adaptation of traditional European opera houses in horseshoe form. In the past year, Esplanade has welcomed over seven million visitors and presented more than 1,800 performances. CHIJMES is a beautifully structured historic building complex in Singapore that has been gazetted as a national monument. As the premier lifestyle destination in Singapore, Chijmes is committed to providing its customers and tenants with services and facilities of impeccable quality, with an ambience that is both vibrant and sophisticated. Given the varied range of F&B dining experiences set amidst unique landscaped surroundings; it's the perfect venue for cosy indoor dining or alfresco dining under the stars. Chijmes, with its charming settings and historical appeal, is definitely a must visit for the local and expatriates community - from families to working professionals, tourists and a re-visit for former and current students of CHIJ. 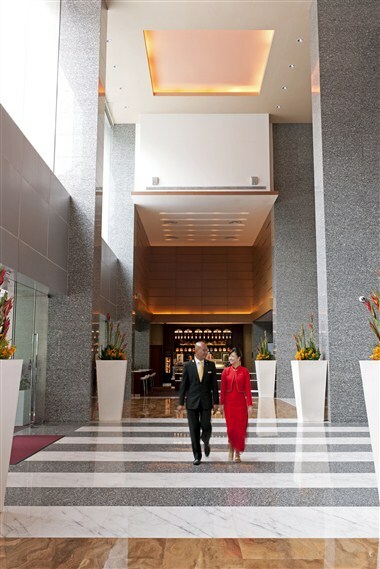 Marina Mandarin Singapore, where leisure and business travellers stay for the best in service and elegance. 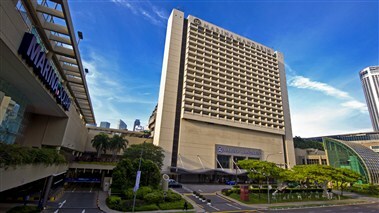 Directly opposite the Esplanade-Theatres on the Bay-Singapore's premier performing arts center, and just minutes from the corporate and convention hub of the city, the hotel commands impressive views of the bay and city skyline from the gracious selection of rooms and suites. Art in Action the hotel's magnificent 21-storey Atrium - reputed to be one of the largest in south-east Asia with an impressive glass ceiling allows natural light to stream into the spacious Atrium Lounge. Complimenting the artistic architecture and decor, Marina Mandarin offers modern, comprehensive facilities with thoughtful personal touches. Guest services include: beauty facilities, doctor on-call, laundry, valet, Business Centre, valet parking, luggage repair, theatre bookings, golf arrangements, and tour itinerary arrangement. Guestrooms All 575 guestrooms, including 20 Suites, offer a panoramic view of the Marina Bay or the city skyline. Guests can look forward to a choice of 10 categories of rooms from Deluxe Rooms to the opulent Presidential Suite. Hotel fully renovated Marina Mandarin Singapore is also the perfect location for your next stay, function, conference or meeting needs; boasting extensive meeting facilities that spell stylish versatility and welcomed convenience, whether it is for a large-scale forum or private cocktail function, our professional Convention Services team will ensure that attention is paid to even the finest detail. 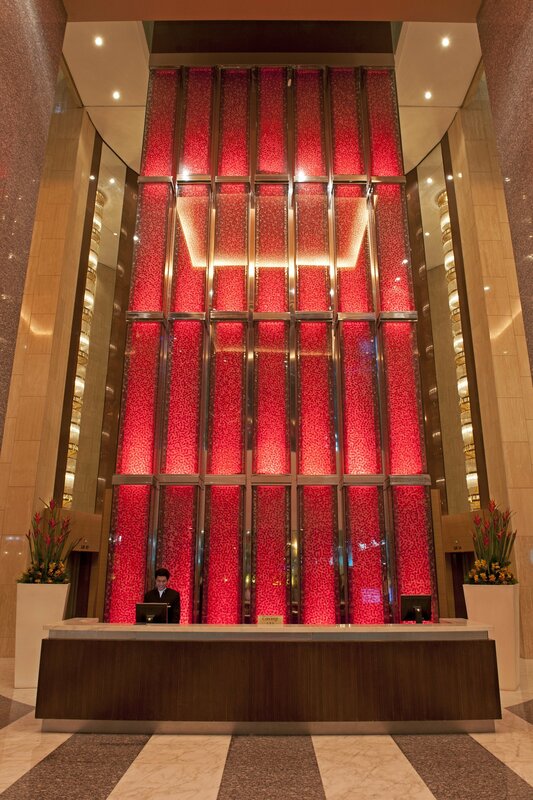 The Marina Mandarin Singapore is also : * Adjacent to Suntec Singapore International Convention & Exhibition Centre. * Directly opposite The Esplanade, Singapore’s Performing Arts Centre. 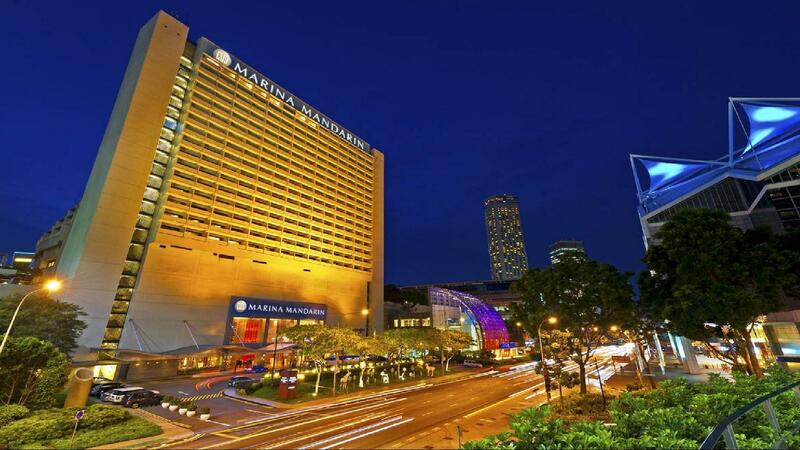 * 8 minutes away from The Marina Bay Sands Expo and Convention Center. 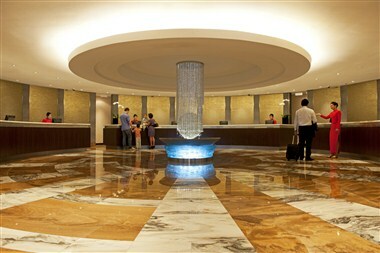 * Less than 15 minutes drive from Resorts World Convention Centre, Sentosa. 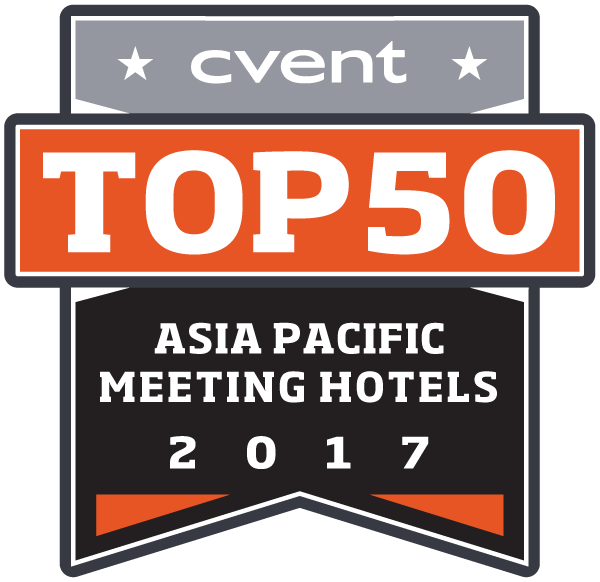 * Less 20 minutes away (by car) from the Singapore Expo and Singapore Changi Airport. - Default Cancel policy: Reservations must be cancelled 2 days (local time) prior to arrival date to avoid a penalty of 1 night stay excluding tax. -Cancel policies may vary by rate, please check individual rates for specific cancel policy. -No Show fee: 1 night stay room and tax.